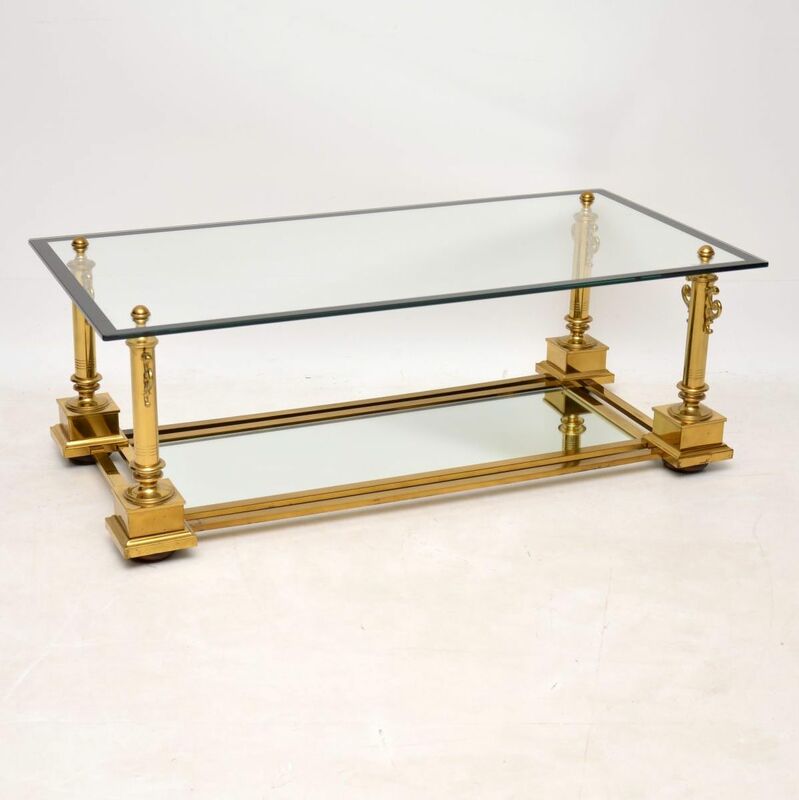 A stunning and very well made coffee table by Maison Charles, this was made in France around the 1950-60’s. 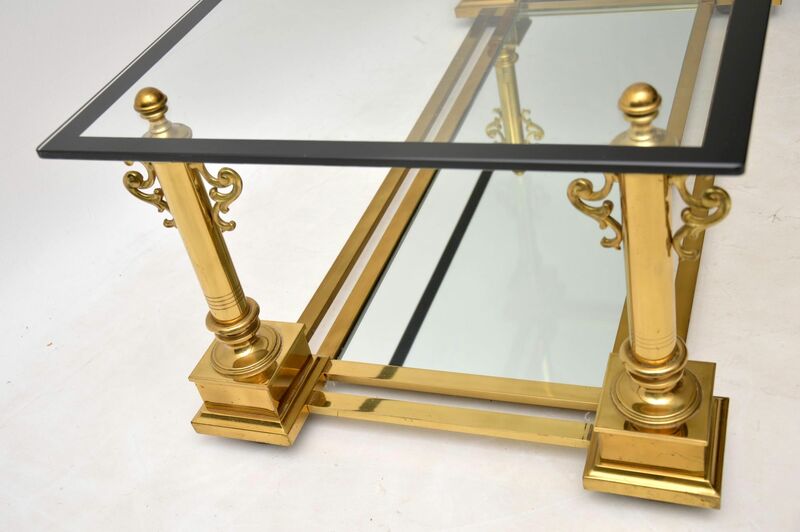 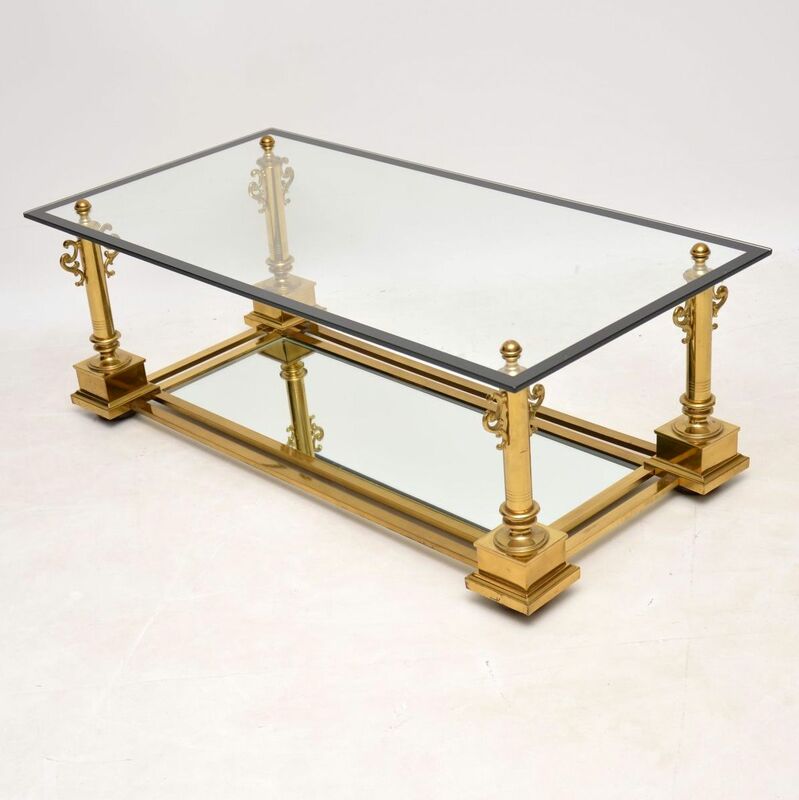 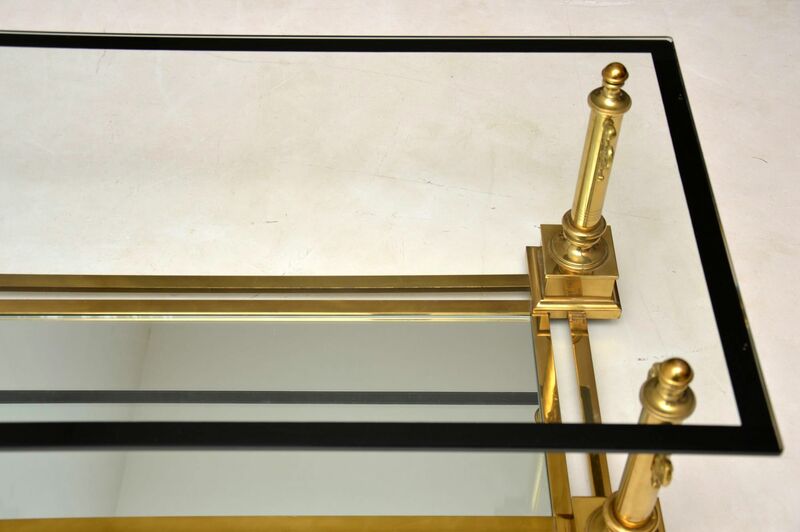 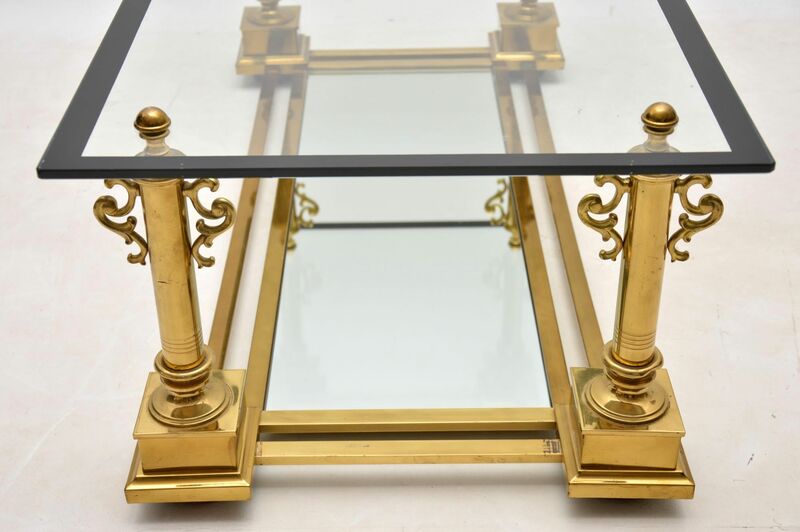 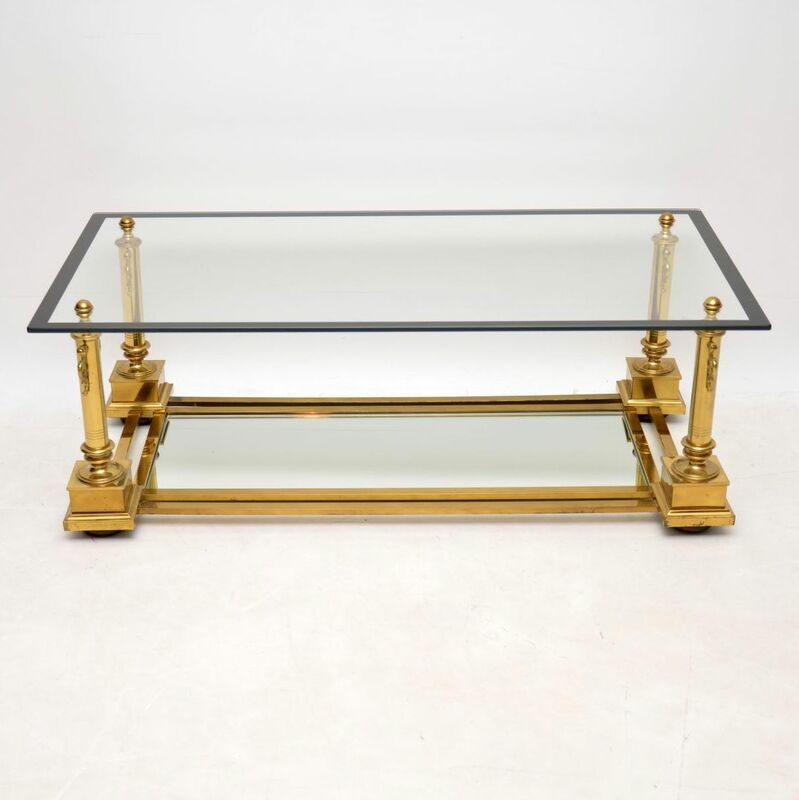 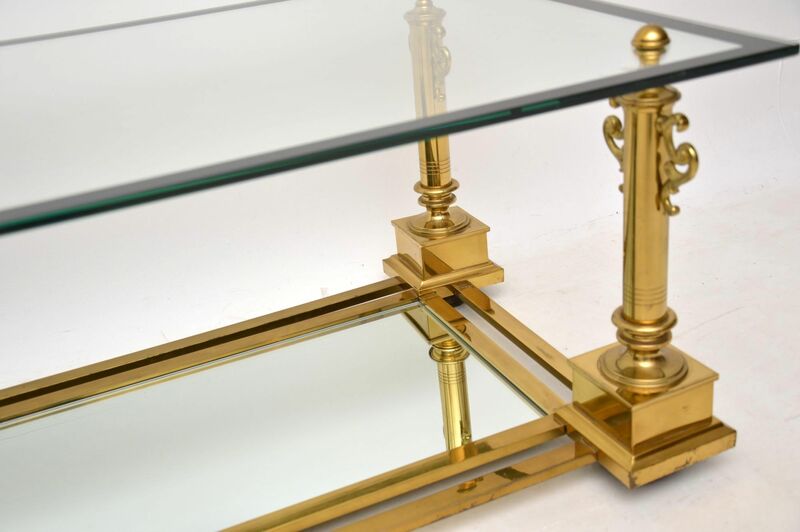 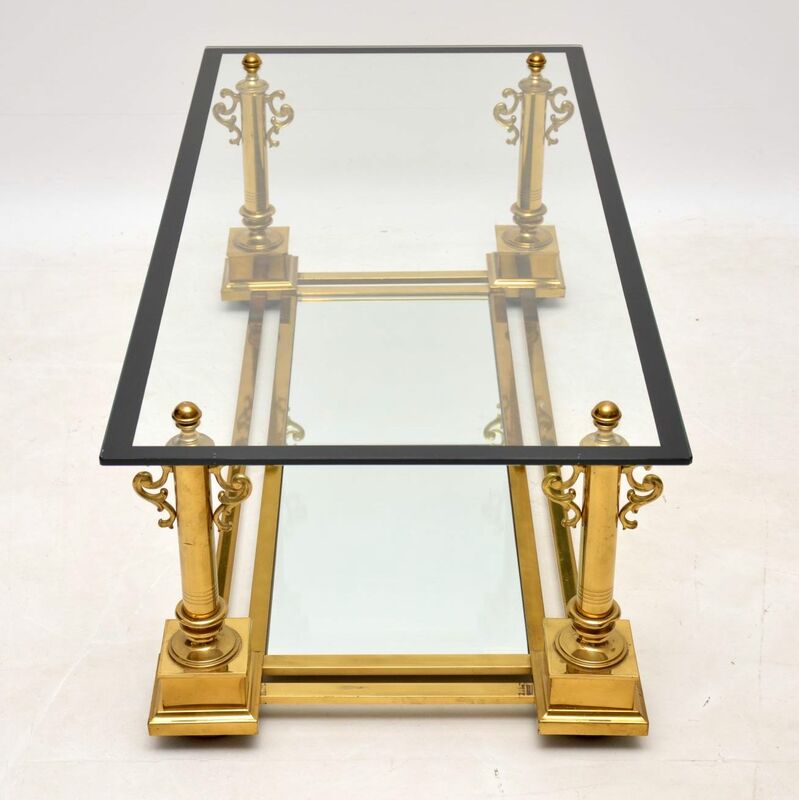 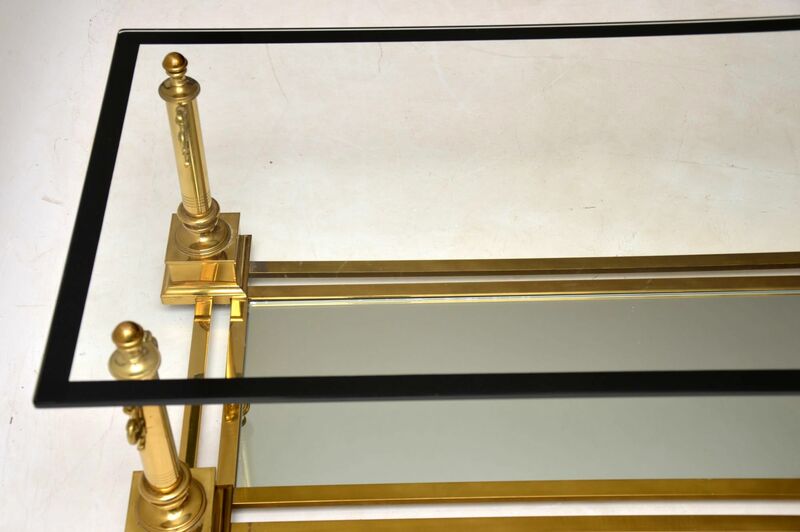 It has a beautiful brass frame, with a thick glass top and mirrored glass lower tier. 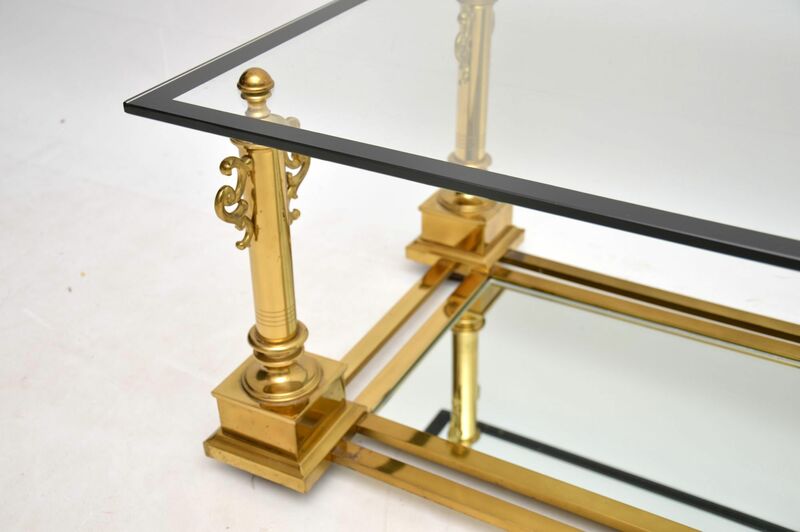 The condition is very good throughout, with only some extremely minor surface wear here and there.